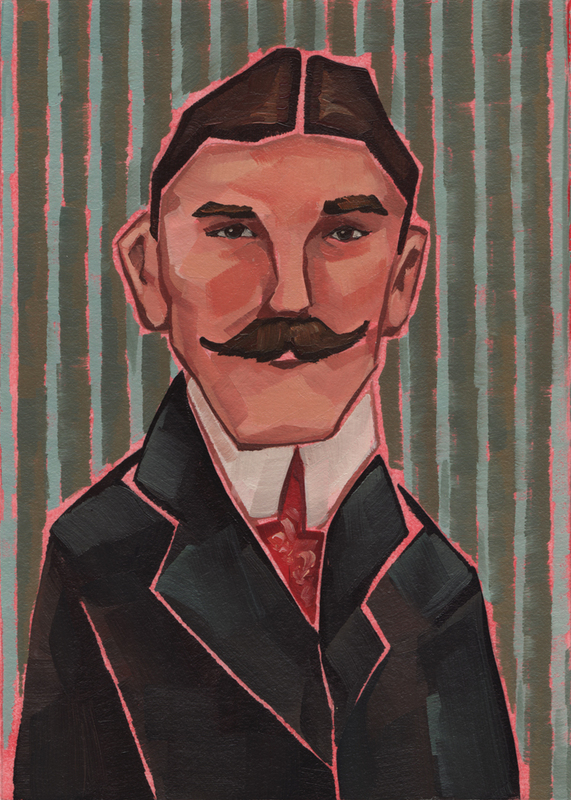 This collection of Art Nouveau tiny portraits was created for a collaborative gallery show in Charleston. Read more about the Tiny Illustrations Art Show at my Blog. 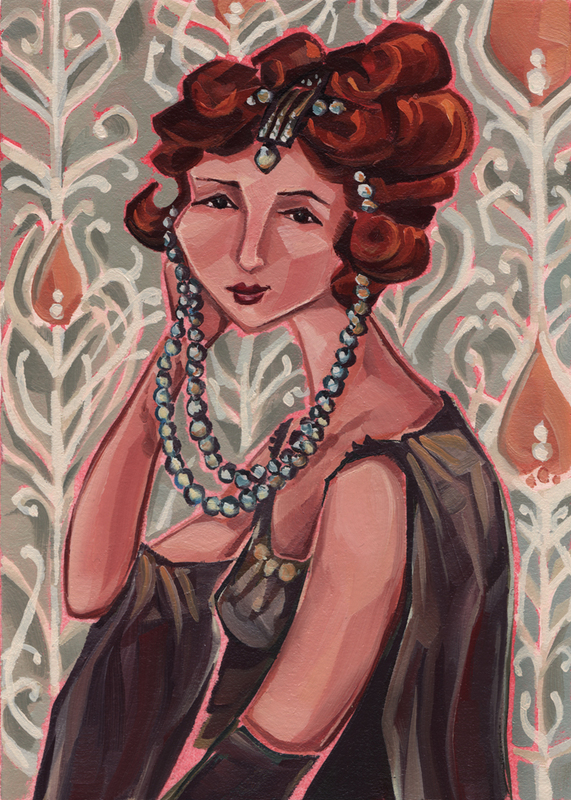 “Bead Lady” was painted in oils as the first in my series of vintage portraits. 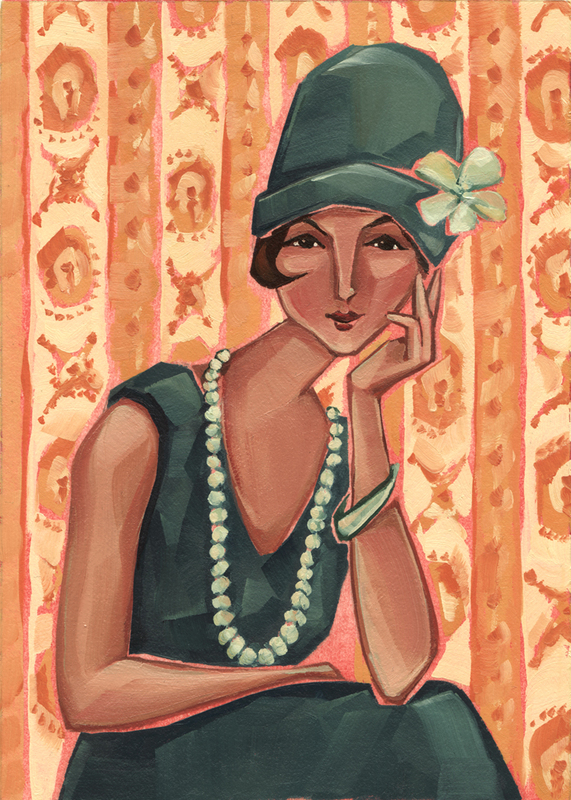 “Lady in Hat” painted in oils. 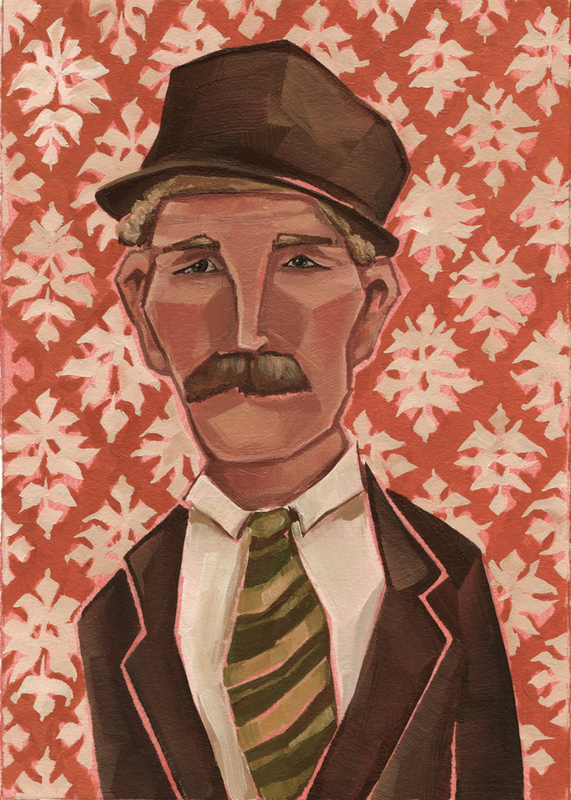 “Man in Hat” painted in oils. “Man with Stripes” painted in oils. 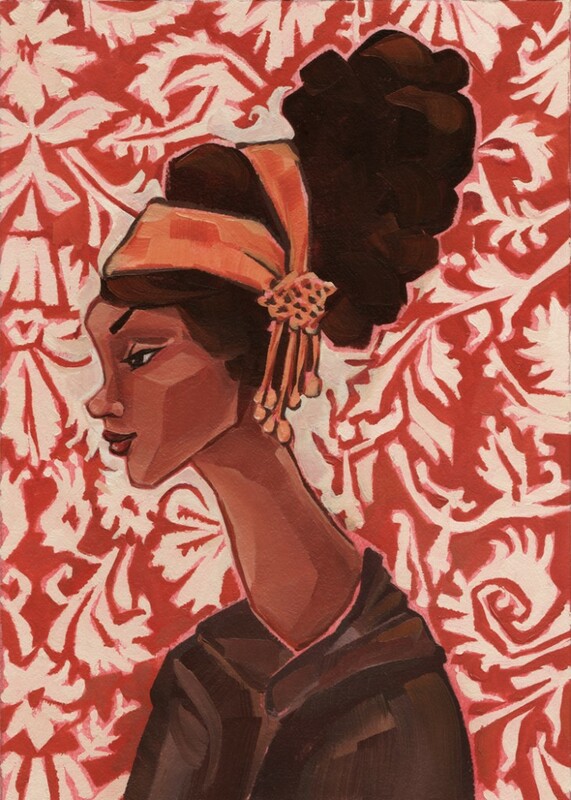 “Paisley Lady” painted in oils. 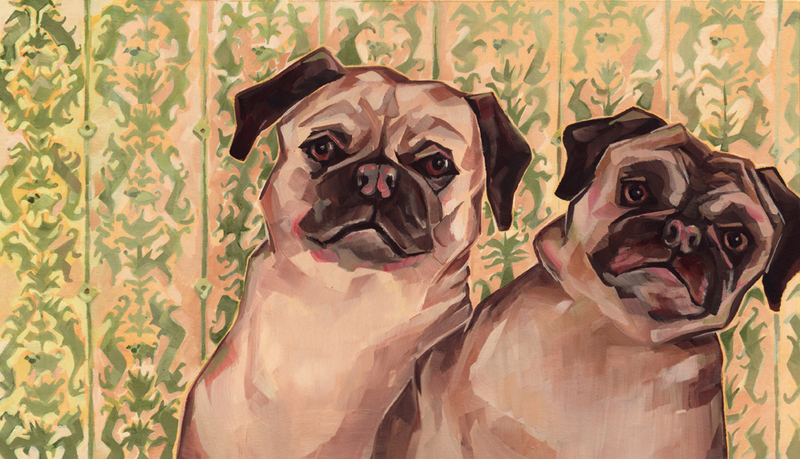 “Pug Portrait” painted in oils, a study of our pugs Grace and her sweet sister Fiona, who passed away shortly after completing this painting. 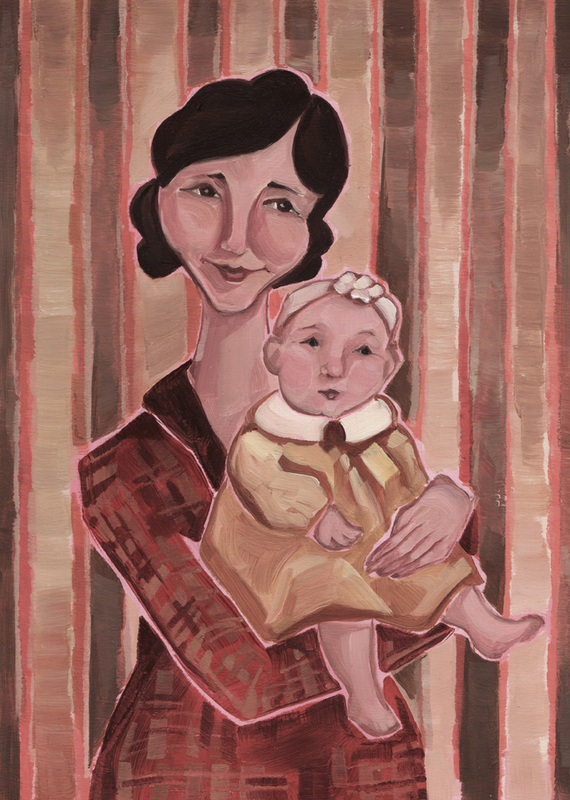 “Vintage Mother and Baby” painted in oils, an experimenting painting on board.